JAPAN - Sensitive information regarding two international airports, including floor plans showing locations of access corridors for authorised personnel and secured areas, was made publicly accessible online through Google Groups online bulletin board service due to an overlooked privacy setting by Google Japan Inc. employees, The Yomiuri Shimbun has learned. The two airports are Chubu Airport in Aichi Prefecture and New Chitose Airport in Hokkaido. Google Japan expressed an apology, saying its employees mistakenly left its privacy setting for the online mail-sharing service on a level that made the data accessible to anyone, instead of a private level when they exchanged work-related documents on the airports. The information has not been publicly accessible since Thursday afternoon, after The Yomiuri Shimbun informed the parties concerned. The Land, Infrastructure, Transport and Tourism Ministry, which sees it as a serious security problem, has begun investigating the case. Google Japan employees used Google Groups to share information necessary to update the company's Indoor Maps, a Google Maps service that displays facilities inside larger buildings on maps. 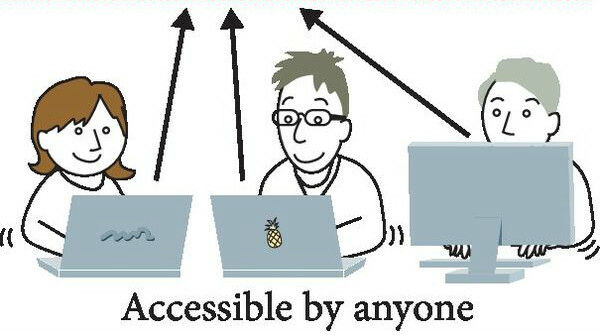 As the mail-sharing service was set to "Public," the content of their e-mails, including airport floor plans provided by the airport side, were all made accessible to anyone. 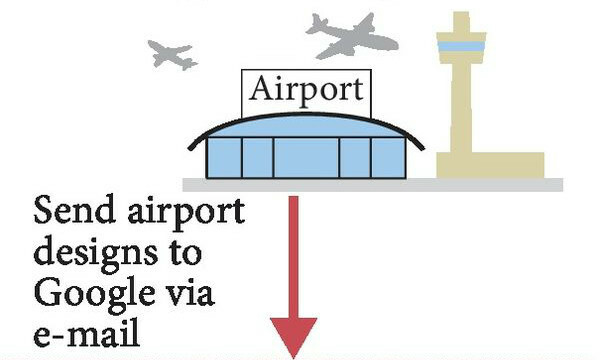 The floor plans attached to the e-mails include such sensitive information as access corridors reserved for airport personnel and the location of routes that are closest to secured areas. According to the ministry's Civil Aviation Bureau, all of the nation's airports have security guidelines against hijacking and terrorist attacks based on the Convention on International Civil Aviation, known as the Chicago Convention. "Though there is no penalty for leaking information about floor plans, airports should maintain a high level of security. This could create problems of trust for the nation," said the bureau official. The ministry plans to instruct the operators of the two airports-Central Japan International Airport Co. and Hokkaido Airport Terminal Co.-to tighten information control and take other related measures. "The consequences are very serious. We will consider countermeasures, including whether to change security measures," said an official of Chubu Airport, while an official of New Chitose Airport said: "[The leaked information on] the floor plans is not on such a level that it will cause problems. But it is a problem that exchanged e-mails were exposed to the public. We will investigate the facts." A Google Japan official said, "We deeply apologise to those who provided the floor plans." Concerning the Google Groups service, it came to light in July last year that internal documents of central government bodies were externally accessible due to overlooked privacy settings. Sensitive information regarding two airports, including floor plans, was made publicly accessible online due to an overlooked privacy setting by Google Japan Inc. employees. 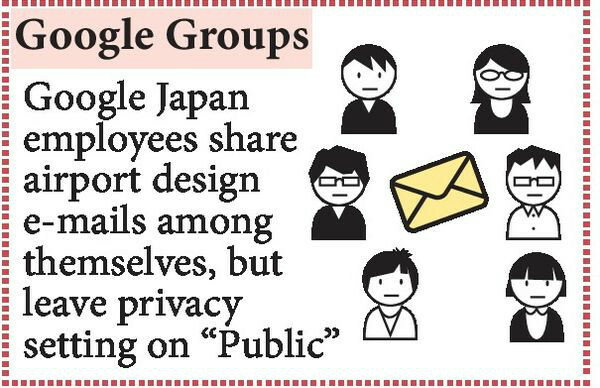 Google Japan expressed an apology, saying its employees mistakenly left its privacy setting for the online mail-sharing service on a level that made the data accessible to anyone, instead of a private level.